← How to convert prn to tiff? 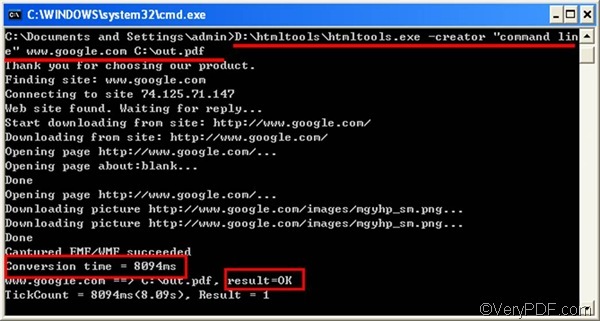 The other day, my friend asked me was there a quick and easy way to convert web page to PDF. I advised her to use VeryPDF HTML Converter Command Line. Turns out that is the best document converter she’s ever used. This article also recommends VeryPDF HTML Converter Command Line to you, because with the help of VeryPDF HTML Converter Command Line, you only need to take two steps to convert web page to PDF and edit PDF editor via command line. If you have no idea what should be included in a command line, please take a look at the command line syntax below. The angle brackets are used to enclose essential contents. string refers to a character string. To help you understand what should be typed in a command line, here provides an example as follows. 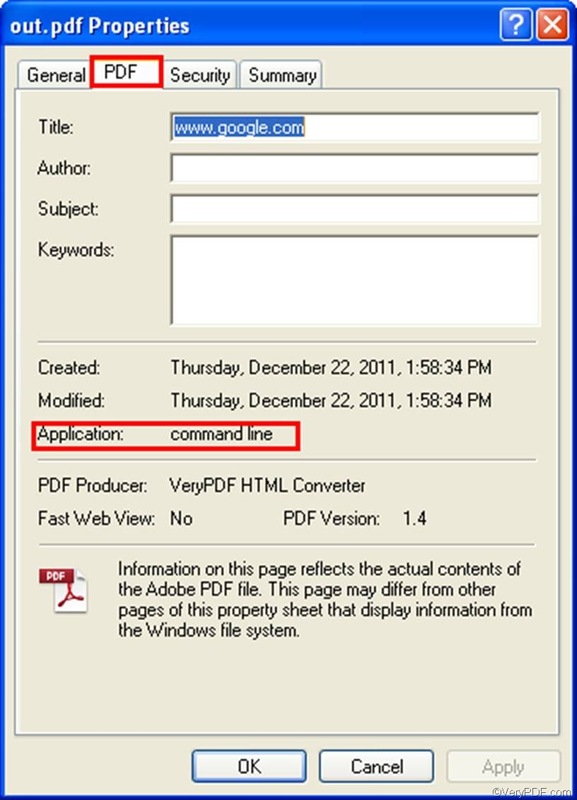 This command line illustrated below can be used to convert web page to PDF and edit PDF creator. D:\htmltools\htmltools.exe ----The directory of the command line application. htmltools.exe is the name of the command line application. This directory represents the command application stored in the folder called htmltools on disk D.
www.google.com ---- The website address of Google. Why not type a command line in the prompt window now? Please press “Enter” after you type the command line. The computer will begin to covert the selected web page to PDF and edit PDF creator right away. Meanwhile, you can view the information of conversion such as conversion time in the command prompt window as illustrated below. When you see “Result=OK”, that means the job is done. To check the result after edit PDF creator, you need to take three steps: right click the icon of the output PDF file,> select “Properties” on the menu to open the “Properties” dialog box, > click the “PDF” tab, then you will find “command line” after “Application” in the middle of the dialog box. 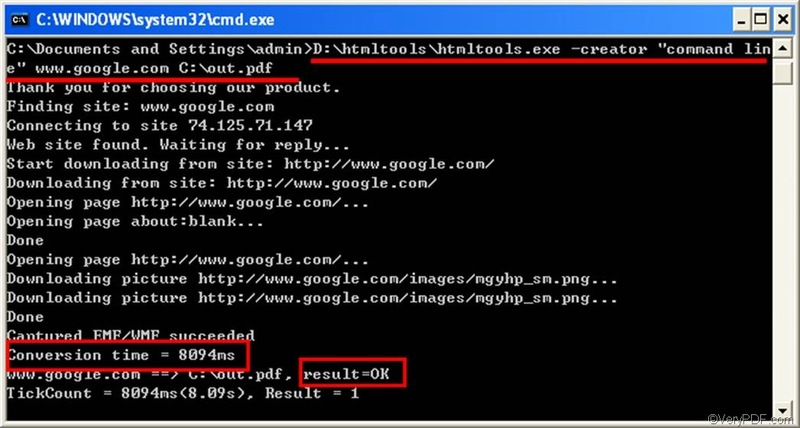 You can try the command line application of VeryPDF HTML converter for 50 times. If you want to buy it, please click Purchase.